When I completed my first manuscript, I submitted to many agents and publishing companies, hoping to find the perfect agent or publisher, only to receive countless rejection letters and promises that never culminated. I realized that getting published is important, but going only for name-brand status was not. The old-guard editors and publishing companies had become oversaturated, so I decided to pursue another avenue. In 2005, I started my own small publishing house, Saturno Press, to get my first book out to the market. When people think of self-publishing these days, they usually call to mind the services of a vanity press. I wanted better control over the design, price and placement of my book, and felt that the traditional publishing world as it stands was not right for me. I knew that by forming my own publishing company that I would in control, I could decide on everything from the cover to the price, marketing, book award submissions and more. Researching forming a publishing company, I found thatother authors such as para-normal suspense writer J.R. Rain and mystery writer Gamma Halliday had formed their own imprints. With all the tools of a publisher at my disposal, my work began. Publishing under my own company fulfilled the vision I had for my first book. By doing this, I was hands on in editing, formatting, packaging and marketing the books, much like a traditional publisher. By forming Saturno Press there was a hope to annoint my career as a fledgling author with legitimacy and give me an edge in a flooded and cutthroat marketplace. The biggest draw, was also the chance to be associated with a more successful author’s brand. My path from author to operating my own small imprint has been a challenge to hope that through the scope of my ambitions, my writing would reach the public. It sounded appealing and empowering , but I soon realized that the drudge work and endless self -promotion was not easy. Soon began to see positive results. 1.The prestigious Nautilus Silver Award in the category of Art Genre.Nautillus recognizes the contribution of independent presses and self-published books in bringing new ideas to the marketplace It is an ongoing national competition in 24 categories celebrating literary contributions to positive social change, spiritual growth, conscious living, wellness, and responsible leadership. 2.The New York Book Festival recognizing the achievement of writers in the non-fiction, fiction, children’s books, teenage, poetry, how-to, science fiction, romance and biography/autobiography genres awarded Anton Haardt, for her book on Mose Tolliver, First Place in Photography. 3. Creativity Annual Award (CAA):one of the longest running independent international advertising and graphic design competitions in the world., where each year the judges choose the best from all over the world. Mose T from A to Z won gold winner for typography book cover, silver book design interior, and silver winner book cover design. The book is a first-hand view of Mose from the days when I chaperoned him and his wife to the Corcoran exhibit through his rise to national recognition in the folk art world. Folk art scholar Regenia Perry has contributed a preface on the significance and appeal of Tolliver's work. Lee Kogan, curator of The American Folk Art Museum in New York, has also written a wonderful introduction. I have included an essay along with stories and anecdotes from my close friendship with Mose dating back to I've presented some of the finest vintage pieces in my collection in an A to Z format of one-of -a- kind Mose titles (J is for Jimma Jamma Girl-She does the wild dance , E for Electric Slide). These high quality reproductions are complimented by multiple photographs of Mose at home with his family and working on his art. "The photographs and the art work offer powerful images, touching the South's natural soul. Its strength rests in the successful revelation of African-Americans non-academic living art tradition. It's a must for any library daring to blend art school painters with untrained artistic genius." The Author Anton Haardt in her Studio. Montgomery's Anton Haardt, author of the book, Mose T from A to Z: The Folk Art of Mose Tolliver, was awarded the prestigious Nautilus Silver Award and New York Book Festival Art/Photography Award. Saturno was a Mexican company that manufactured the ubiquitous candles that we needed for many years to light our jungle home, since we had no electricity in our Yelapa fishing village for the first twenty years that we lived there. My husband published our Jungle Newspaper there. 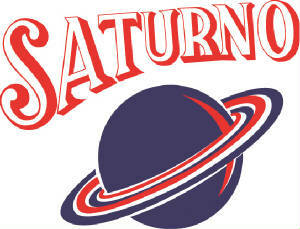 Daily we would go to the tiny tienda and buy a pack of candle packaged in a bright retro font plastic with a big image of the planet Saturn on the front and the words "Saturno” in large red font, like some old circus banner. Each night I recycled the wax to make my own candles pouring the old wax into a large mold that I made supported by old brokenMexican tiles. Now twenty-five years later we still use the old candles with the wax recycled from two decades ago. Saturno’s world headquarter is housed in the historic downtown New Orleans Garden District, in an 1860s-era three story home known to the many tourists that pass by as one of the Feret’s Folly, named for an Architect who built the row of Spec- Condos before the Civil war. The war bankrupted Feret and he ceased building, but he eventually made a comeback after the war and finished his stately row, still standing on Coliseum Street, a block from the house where Anne Rice lived for many years. 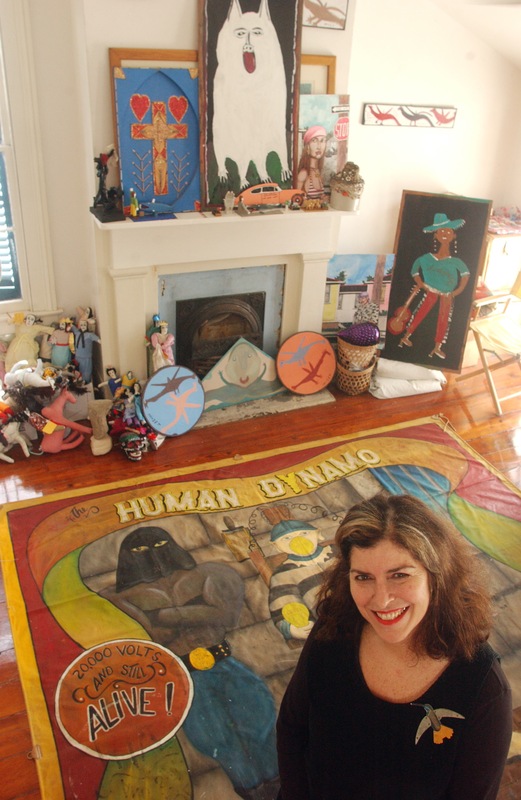 Sometimes Saturno relocates its office to Yelapa, Mexico where I live 6 months of the year or to Montgomery, my hometown to a large grey wisteria shrouded Queen Anne Victorian next to the grounds that once housed the Confederacy Civil War Hospital. The office mainly houses tons of files on the Deep South, Southern Folk Artist and notebook Ephemera for future writing projects.